This post was intended to be a healthy eating blog however I couldn’t resist telling you about a great place in Kent to purchase food. Every so often my mother and I would make a visit to what we call the “Farm shop” well, my mother does anyway. 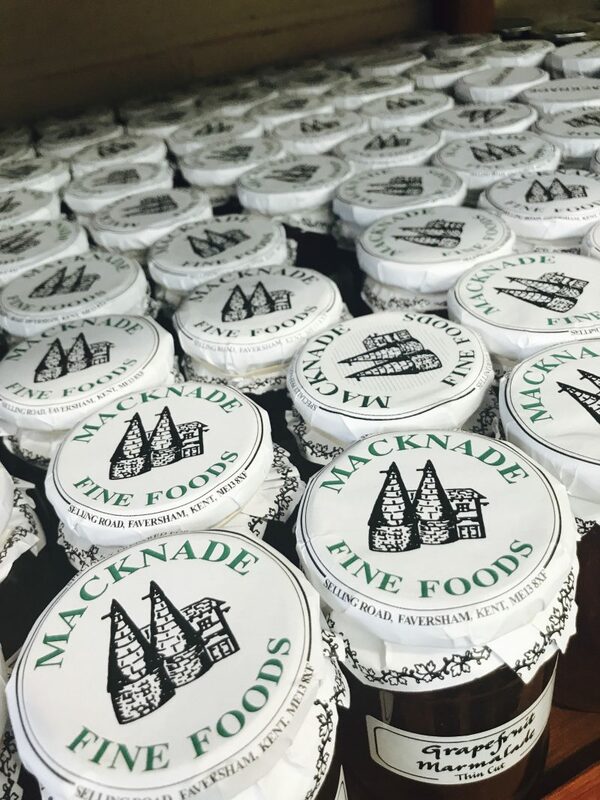 Macknade Fine Foods in Faversham Kent offers a huge variety of local and worldwide produce, it has been a family run business for many years. We go to Macknade mostly for the fresh vegetables, Jars of Jam (mum always picks up Jam jars) I go for the cheese, I think my whole family loves cheese, I could live on it but thats not very healthy at all. The moon is made of cheese just so you know. Anyway, when I go to Macknade its almost like an education too, I mean there are things I have never seen or eaten before. I wish I was brave enough to try some of the food Macknade has to offer, I just wouldn’t know where to begin, I’m not really one for cooking although I do try my very best. Perhaps I need to attend a masterclass or take some tips from the Macknade website as they have recipes you can follow. We begin in the fruit and vegetable isles and I pick up my favourite, butternut squash, is it a fruit or a vegetable? who knows, I just love the taste so I instantly put it in my basket. 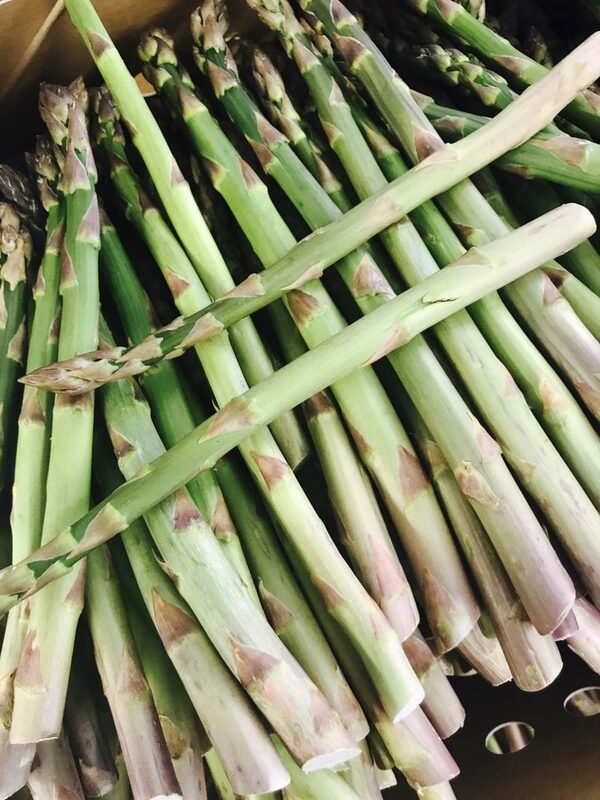 I also grab the faversham asparagus, honestly delicious. Its so great eating food that you know has been lovingly grown and is pretty much on your doorstep. you literally can taste the difference. We purchase onions, tomatoes, potatoes, eggs, you know the normal basics but then we head to cheese and bread and oh my, the garlic and rosemary bread, freshly made and still warm, mouthwatering. We spend ages here each time because there is so much to see and taste. You can taste samples if you ask, the staff are very accommodating. We continue casually browsing and adding treats to our baskets and sometimes stop and ask each other what would you do with this or lets make something with this item. What I love mostly about Macknade is the fact that they have their own produce and sell other local business produce. Its like a little community along with helping other businesses to grow. 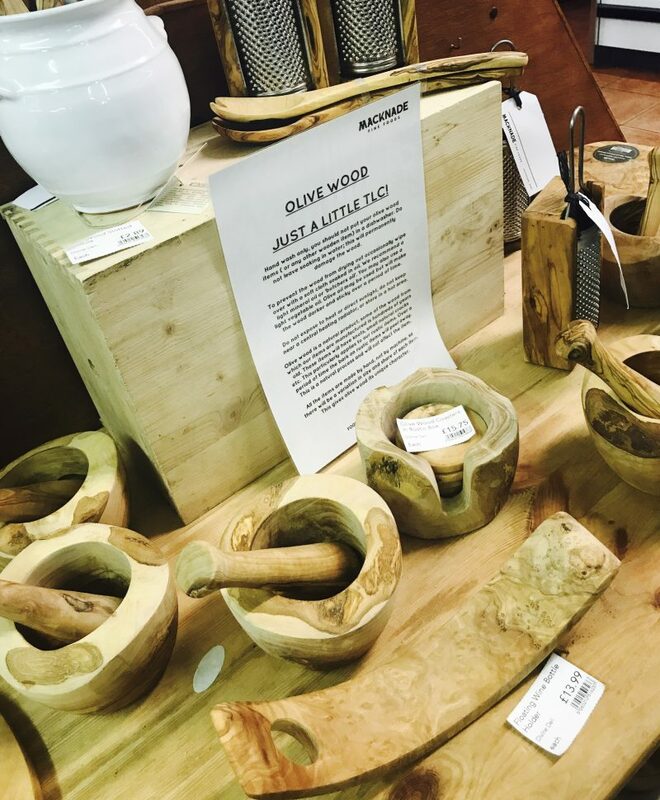 Its not just food on sale but ceramics made locally and even local candle makers products. It is honestly a place that is unique and offers something for everyone, selling “free from” products, fine wines and beers from local brewers and hand lotions from Romney Marsh, I particularly liked this being a lover of skincare, it has a catalogue of amazing treats for you to choose from. The staff are very friendly and very smart in their aprons, stacking the shelves behind mum and I as we fill our overflowing baskets. One thing I did notice today that is different from my local supermarket was that there is always someone that I could speak to within a second, I find when I am in my local supermarket I have to walk at least round two or three isles before I can find someone to help me, or I spend ten minutes looking above at the signs suspended from the ceilings on every isle, one sign may say “sauces” and then it turns out I need to be in the bread section for some reason or another for my specific item. Hugely frustrating but not in Macknade someone is always there to answer your questions. With anything though wherever you go prices vary, somethings are definitely worth paying more for if you are wanting quality. You will definitely find a mixed bag with pricing. Some produce may be cheaper and some cost that little bit more than your local convenience store but I usually think these more expensive items are a treat for me and are definitely worth paying that little extra for because you are getting quality. On the whole I think its reasonable. Unfortunately, I am unable to go there as often as I would like as I have a busy scheduled but when I do, I must admit I splash out a bit. I would suggest going to visit your local farm shop if you are not in Kent or if you are in the area do make a visit to Faversham, pop in and have a look for yourself. I am a food lover and if you are too then you will enjoy this experience. I am also a huge supporter of any local/small business because I too will hopefully be a small business and understand the importance of other businesses helping and supporting you. Although my business is in the line of fashion it is irrelevant you start in the exact same place as any other new business. They also have next door to Macknade another business called “Hercules wines” of which I did purchase a bottle of Malbec, my go to red wine nowadays. Today’s tasting session was the Spanish triple bill, Vino Tinto, Vino Blanco and Vino Rosado, It didn’t twig straight away those were not the actual grape names until I thought about it whilst in search of my Malbec. Imagine if I just asked to try the Spanish Tinto, “yes madam, which one of the Spanish reds would you like to try?” I have a busy brain, thats all I can say. For more information you can visit Macknade Fine Foods online at http://macknade.com or visit their social media pages. Thank you for reading my last post for April and see you again in May with some more posts on my upcoming adventures.